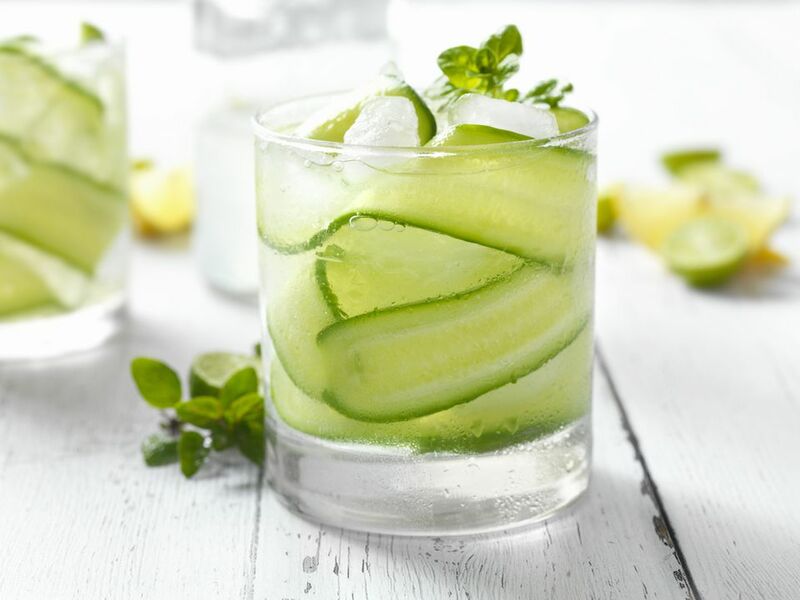 There's something delightful about a clean, crisp and refreshing cucumber cocktail, especially for spring and summer parties. While it has not been the most common ingredient in the past, that is quickly changing. The unassuming cucumber is seeing a new light in the modern bar. The fresh fruit is appearing in many recipes and a few cucumber-infused liquors are dazzling our tastebuds. It's an exciting time for cuke fans, so let's explore the fascinating drinks available. The drink that introduced many of us to cucumber in cocktails is the British favorite known as Pimm's No.1 Cup. It's fascinating in its simplicity and can be an inspiration for countless new recipes. Among those is the Celery Cup No. 1. It features a fun cucumber vodka and Pimm's liqueur. From there, it is all about the freshest ingredients, including celery, cilantro, lemon, and, of course, an English cucumber. One of the most popular cucumber-flavored distilled spirits is Hendrick's Gin. This modern gin breaks all the rules and is noted for having a cucumber-forward profile rather than the piney juniper we're used to. Hendrick's makes some fascinating new gin cocktails. Case in point, the Green Gin Giant. The recipe pairs the gin with elderflower liqueur then piles on the fresh, green ingredients: mint, basil, and cucumber create a garden in a glass. When your garden is filled with cucumbers and you're a little overwhelmed by the bounty of your harvest, turn to this simple recipe. The Citron Sipper has no fluff or flair, it is simply a refreshing vodka highball that's perfect for a casual afternoon. The recipe uses a budget-friendly citrus vodka, adds a few slices of cucumber and a pinch of cilantro. Mix in a dollop of simple syrup and top it off with a light soda and a refreshing drink is ready to enjoy. The cool taste of cucumber is the ideal backdrop for a little spicy heat. It's a fun contrast of flavors and there are a few ways to play it up. This Cucumber Mint Margarita recipe is a great example. It's a blended recipe that combines fresh cucumber, key lime juice and mint with your favorite tequila and orange liqueur. The kick comes when you start adding Tabasco and, yes, it is as fun as it sounds. 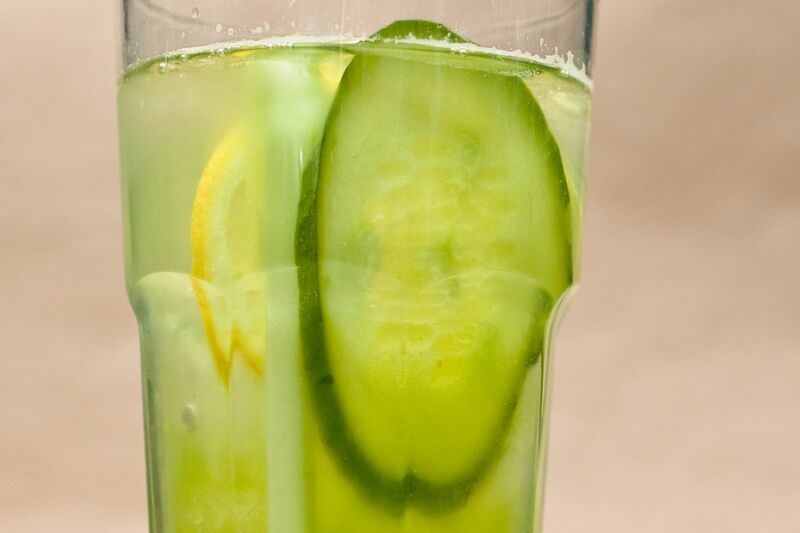 If you'd rather skip the tequila and prefer to pour a shot of vodka, the Rocky Cucumber is the cocktail for you. It retains that cool cucumber and hot sauce contrast, it simply goes about it a different way. This recipe requires no blender, opting for a muddler instead. To mix it, you'll combine cucumber, your favorite hot sauce, lime juice, and simple syrup along with a super smooth vodka. Shake it up, top it with a refreshing soda, and enjoy the explosion of flavor. Another way to approach a spicy cocktail with the coolness of cucumber is to turn to wasabi. That spicy green paste is a wonderful cocktail ingredient and a fun way to turn up the heat. The Cucumber Wasabi Martini is exactly what it sounds like. The recipe muddles fresh cucumber with wasabi and syrup, adds a shot of gin and a splash of lemon, then shakes it up. It's an intriguing drink that should not be overlooked. Flavor pairings come with varying degrees of perfection and few can rival the taste of melon and cucumber. It is the ultimate combination and, again, we have a few drinks to show it off. The easiest way to experience this delightful combo is with the Melon Cucumbertini. It's a three-ingredient cocktail of fresh cucumber, simple syrup, and melon vodka. It mixes up quickly, so you'll have a refreshing martini in just a few minutes. Another way to approach the cucumber-melon combination is to take both fruits straight out of the garden. The Watermelon Cucumber Cooler does just that and it is a fantastic summertime beverage. The recipe uses fresh-pressed watermelon juice along with fresh cucumber. The base is a floral gin and the soda gives the mix a welcomed effervescence. It's an experience and a pure joy to mix up. A sultry drink, El Pepino is a fascinating taste experience. You can view it as a margarita, though it's so much more than that. The recipe has the typical margarita base of a reposado tequila, triple sec, and sweet and sour. Yet, when you add cilantro, cucumber, and an egg white, it gets really interesting. The result is a green, garden-fresh margarita with a foamy top that is​ a joy to drink. Cucumber, sage, and mango are an unlikely combination, but it works surprisingly well. The Sage Lady recipe is just one more example of how creative you can be with your cukes. This fruity martini is quite fun and rather simple to mix up. You'll start with a muddle of fresh sage and cucumber in syrup. That is shaken with mango vodka and orange liqueur, while peach bitters finish it off nicely.